a symptom of our problems? In single-person chapters, every person shows how their version of How It Went Down is right, but the details just don’t match up. Was Tarik in the Kings gang or not? Was he as good as little sister Tina believed or as cruel as Kimberly experienced? Written and edited well before the troubles of later 2014, this thought-provoking book was published in October, so you should be able to find it at your local library or independent bookstore. Where does the violence end? 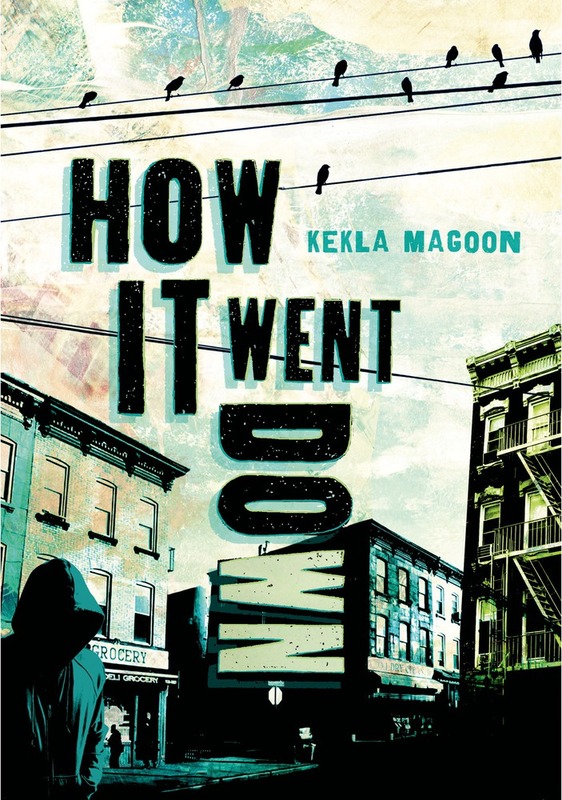 Book info: How It Went Down / Kekla Magoon. Henry Holt Books For Young Readers, 2014. [author site] [publisher site] Review copy and cover image courtesy of the publisher. My book talk: Blam-blam! Black teen shot dead by a white man’s gun – but that’s all that the eyewitnesses can agree on. Who started it – the kid edging into gang life or the guy just passing through the neighborhood? Was Tarik holding a gun or a candy bar? Was Jack a good citizen breaking up a gang scuffle or a vigilante doing what the cops wouldn’t? Did senatorial candidate Rev. Sloan come to Underhill to help the community mourn and heal or to advance his campaign? Can the late teen’s best pal Tyrell escape to college without Tarik standing between him and the Kings’ insistence that he join the gang and earn his knife? ← Of Metal and Wishes, by Sarah Fine (book review) – ghost in the machine?